Will provide tremendous growth opportunity for retail and FMCG players. 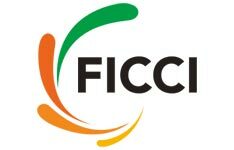 "The Indian retail market is poised to reach USD 1.3 trillion by 2020 and therefore it will provide a tremendous growth opportunity for retail and FMCG players alike," said by Consumer Affairs Minister K V Thomas in a Massmerize event initiated by FICCI. The theme of the event was Consumerisum in digital era. The event was held to highlight the trnsitions oberved in the industry. While speaking on ‘Consumer is the king – How to serve them better!’ Pankaj Agrawala, Secretary, Ministry of Consumer Affairs, Food & Public Distribution, said that the ministry was in the process of setting up an inter-ministerial committee to look into unfair trade practices and formulate a framework to curb the menace. Also, the present Consumer Protection Act is only a compensatory act, but new regulations will make the sellers more accountable and liable to consumers. As the retail and FMCG market is increasingly becoming complex, regulation will have to be framed accordingly, added Mr. Agrawala. She said that digitally active consumers have embraced the Internet, telecom, media, and social space, changing the way they communicate, transact, and make purchase decisions, thus giving rise to digital consumerism. Retail & FMCG companies are capitalising on these changing trends. “Across the world, the retail industry is at the center of a major shift in the way consumers shop and interact with their retailers. Against the traditional way of customers ‘going to the store’, the store is now coming to the customer. Embedded systems are changing every point in a retailer’s business, from sourcing of goods to distribution to display,” she added. Bijou Kurien, Chairman, FICCI Retail Committee, said that retail and FMCG are both interdependent. Indian market is enormous and to cater to different consumers it needs a variety of retail models. With the opening up of retail market both in single brand and multi brand, greater interests has been generated among international players to enter the Indian retail market. Sundeep Malhotra, Co-Chair, FICCI Retail Committee & Founder & CEO, HomeShop18 and Dr. Arbind Prasad, Director General, FICCI, also addressed the session, speaking with Retailer Sundeep Malhotra shared his views on major Supply chain issues while moving the goods, he suggested GSI a viable soluton to address prevalent SCM issues.